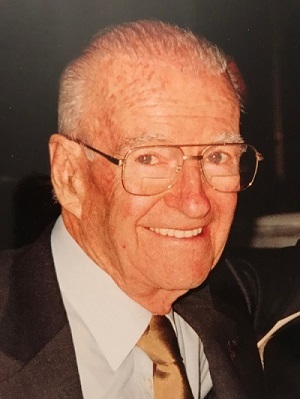 The Executive Board, Governing Council, Members and Staff of the Motor Traders’ Association of NSW (MTA NSW) would like to express their condolences to family and friends on the passing of William Tasman ‘Tas’ Fallshaw, a previous Metropolitan Vice President and Body Builders’ Division Chairman of the Association. Tas passed away on the 30th January 2019, aged 96 years. A service for Tas will be held on Thursday, 7th February 2019 at 11.30am in the West Chapel of Woronora Memorial Park, 121 Linden Street, Sutherland. In 1946, after service in the 2nd World War, Tas built a small factory doing electroplating.This developed into specialising in the repair and manufacture of automobile bumpers, Fallshaw Bumper Service. As the business grew, Tas became involved in the smash repair division of the Motor Traders’ Association of NSW, with the aim of strengthening the position of repair shops with insurance companies. Tas was actively involved with the Association, having served as a Councillor in the late 1960’s and then Chairman of the Body Builders’ Division in the early 1970’s before becoming a Metropolitan Vice President representing the Body Repair Division in 1978. In his work with the Association, he was very instrumental in the development of the Body Repair Division (BRD) Times Manual. His company did exporting and importing, which led to his further studies in commercial French, to aid in his dealings with French companies. As his business grew, Tas took up flying his own aircraft for establishing and servicing his sales around Australia. After 40 years building his business, Tas sold out to a company in Melbourne and retired. Tas will be fondly remembered amongst many of our long standing Members.